A baby boy crawls into Santa’s satchel of presents and travels back with him to the North Pole….. 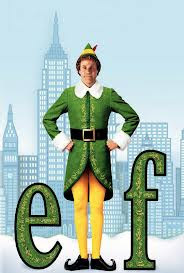 So begins the wonderful story of “Elf,” a classic Christmas movie which captures the spirit of innocence and hope. If you’ve never see “Elf,” I highly recommend it. With a new year right around the corner, there is no reason for us to abandon the uplifting feeling of the holidays just because Christmas and Hanukkah are over.